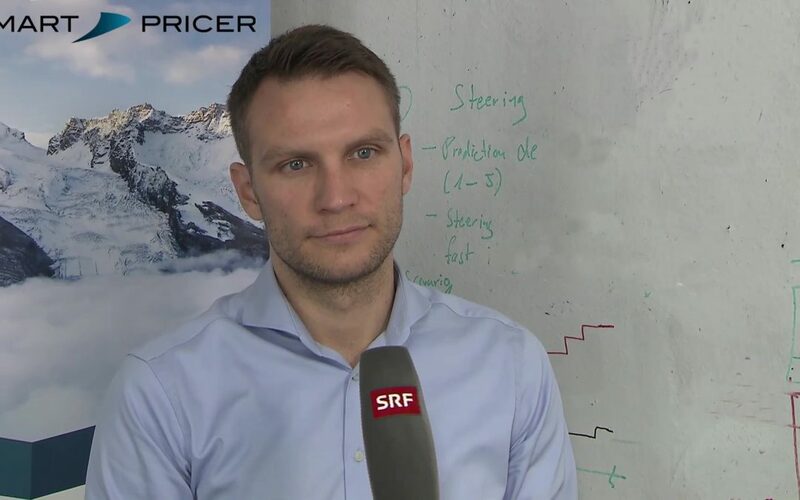 SRF: Mr Kluge, why are more ski resorts opting for the dynamic pricing model that you offer? 2. Get multi-day guests, the ones who don’t buy single tickets, but buy multi-day passes. 3. Attract a few more people on “weak” days, who will come skiing. SRF: What is the use for a ski resort, if they get away from the old, rigid system and introduce dynamic pricing instead? Kluge: The main benefit is better predictability. In other words, if I already have more bookings in advance, I rather know how many people are coming. Hence, I can better plan my staff. As a result, I can expect shorter queues at the cash registers. Also, if tickets are being bought online in advance, I have shorter queues at the lifts. Because on “weak” days I attract a few more people, while on high-demanded days I have fewer people in the ski area, who are falling back on the cheaper days. SRF: Is it not a model that ultimately fleeces the customer, who just can’t get on the slopes during a weekday or discounted day? Kluge: That’s not the goal. We recommend that the starting price and the maximum price, are determined by the customer. That means the mountain railways set the minimum and the maximum price for their customers. What usually works very well is to start with 30% less the original price and stop at 10% to 20% higher than the original price as the maximum. In other words, if you have a typical day pass, which today costs around 60 francs in Switzerland, that ticket would start at 45 francs and stop at 70 or 75 francs in a dynamically priced world. However, it is important that the customer is informed transparently to book early, buy a multi-day pass and come on days with little demand to benefit from this system. SRF: How does the customer react? Isn’t it a problem for a customer that there is a clutter, a price jumble? 1. One is to communicate the rules of the new pricing system, hence book early and buy multi-day tickets. Always tell the customers how they can save. 2. On the other hand, it is necessary to display the daily updated prices on the website clearly. For example, you can show price calendars with different colour coding. This way the customer sees when it is cheaper and when it may also be busy on the slope and a bit more expensive. SRF: Where does Switzerland rank now in the international comparison of this price system? Kluge: if we look at it globally, Switzerland is in the front midfield. A country that is actually further in this trend is the USA. In the states, it is common practice to have a dynamically priced ticket while skiing. If we zoom in on Europe, Switzerland actually has a precursor role. That means in Switzerland are now a good half dozen larger and medium-sized ski resorts that do dynamic pricing. That’s not the case for any other European country so far. SRF: How do you estimate the potential for this price system for Swiss ski resorts? Will we soon see it across the country? Kluge: Looking at other industries, like airlines, hotels, and car rental companies, it shows that where dynamic pricing once has been introduced, it’s actually being developed further. What we assume is that in the next few years, the large and medium-sized Swiss ski resorts will mostly implement Dynamic Pricing, with a few exceptions. Looking at small ski resorts, we think there are probably just a few adopters because you have to make a certain investment first. Please head over to our ski page to discover all solutions we provide in this industry.